The Glo located in Besant Nagar of Chennai is a ready to occupy property covering 2.5 grounds of land. 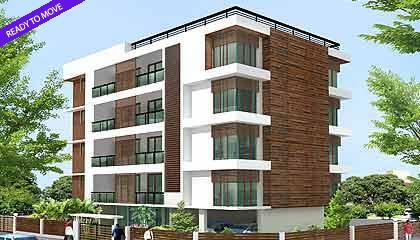 The development comprises 3 BHK apartments constructed on 2550 sq ft. The four apartments of the Glo comes with an array of facilities like complete power back-up, basement parking, security room at entrance, two covered car parks on stilts etc. It also offers life style amenities like landscaping on all suitable open space, gymnasium, paver blocks of approved design and more. The Glo is located in the first avenue of the first main road in Besant Nagar. The place is ideally located to enjoy well connectivity to the rest of the city via roads like the LB Road. The Besant Nagar Beach and Malar Hospital are within the vicinity of the apartment building. The Besant Nagar bus stop is quite close to the site and so is the telephone exchange. The Adyar Bridge and the Adyar Signal are also in proximity to the Glo.